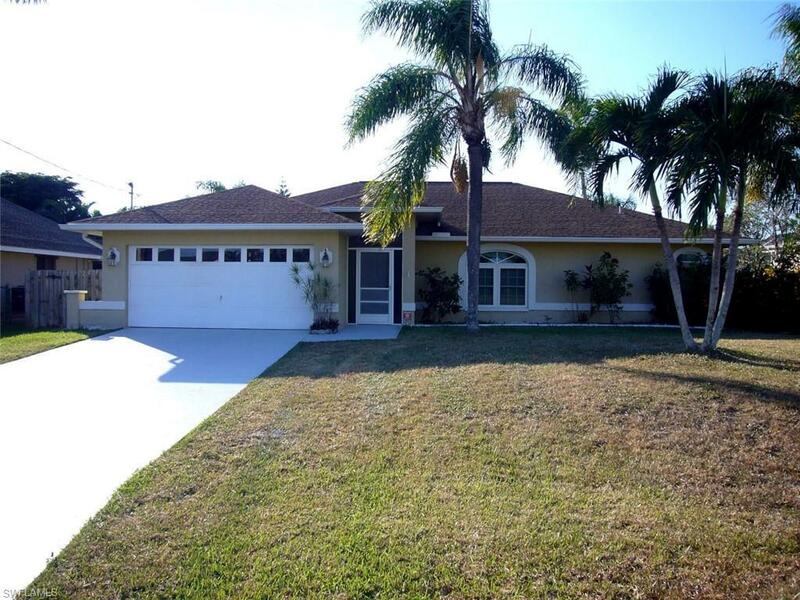 Excellent location in the most prestigious SW Cape Coral, South of Cape Coral Pkwy and West of Aqualinda. This is one of the lowest priced pool homes in that location. All tiles, no carpet, no problem with any allergies. This modern 3 bedroom pool house is hurricane safe, it has all over impact resistant windows made of triple pane low E glass, (energy efficient windows with life time warranty) incl. all glass sliding doors made of impact resistant triple pane glass. Pool has been renovated and has a new pool pump, as well as, a very efficient pool heating system. Central air system has been updated and has heat function as well. New Nauma sliding doors come with clear Lexan "hurricane shutters" for added protection. A wooden privacy fence 6 Ft. high. 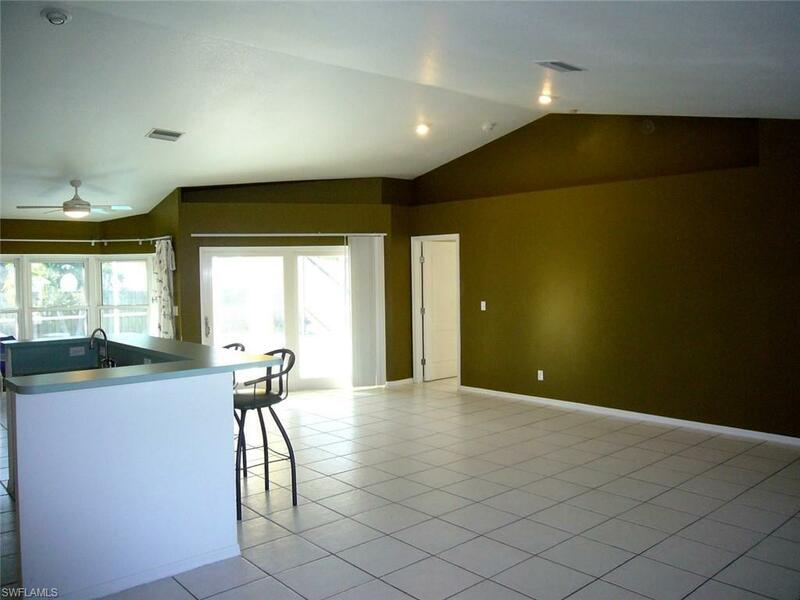 Great room design with 14 ft. ceiling and open floor plan, 3 bedrooms with ceiling fans. Master bedroom with private bath and walk in closet. Sprinkler system with four zones and programmable timer allows full control of watering schedules. Wind Mitigation Report can be provided. 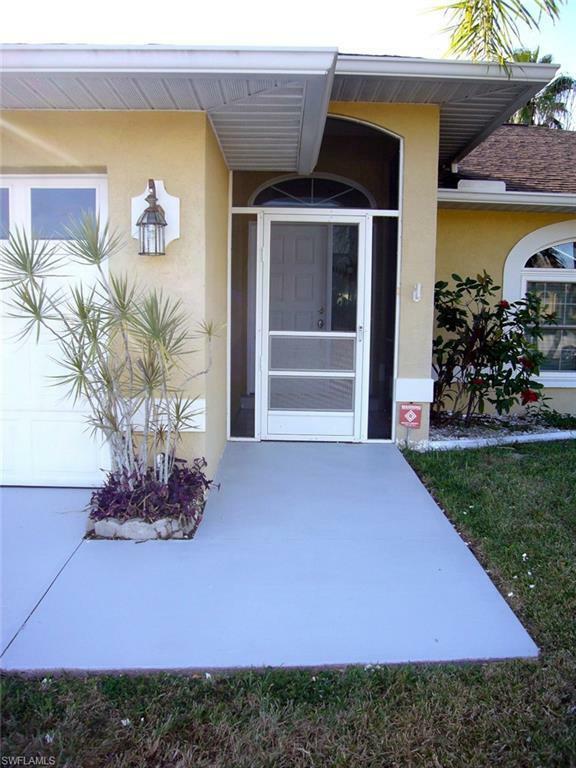 Come see what SW Florida living is all about. 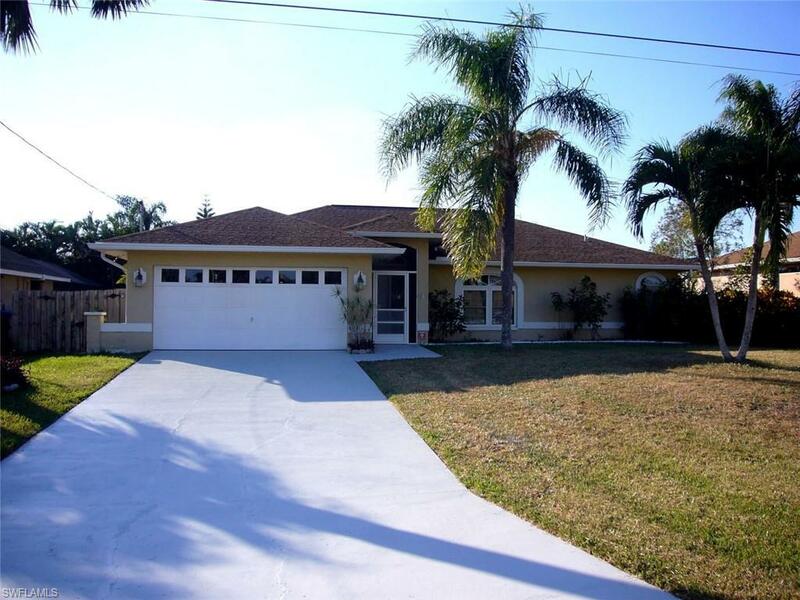 Listing courtesy of Vito Kostrzewski of Jones & Co Realty.